We are a global team of passionate, mission-driven young professionals. Meet the team. Andrea is JDC Entwine’s Resource Development Manager. She works closely with the Executive Director, managing Entwine’s stakeholder relationships, including Entwine’s programmatic and funding partners and JDC Board Members. Andrea grew up in Rochester, NY and is a graduate of the George Washington University where she studied Political Science and Judaic Studies. After college she worked for Close Up, a Non-Profit based out of D.C., where she led civic engagement programs for high school students. In 2010, she headed to Israel, teaching English to high school students in Ashdod and ended up staying in Israel to continue her studies. In 2012, she completed her Master’s Degree in Non-Profit Management at the Hebrew University in Jerusalem. She came to Entwine from the University of Rochester where she was working in the Medical Cente development office. In her free time she can be found running in Prospect Park, taking photos and exploring NYC. Most memorable place you’ve traveled: Guatemala — the most caring, warm people, flavorful, fresh food, and beautiful nature including lakes and volcanoes! Fun Fact or special skills: Andrea is an expert bread maker — her specialties include challah and french bread! Andrew Belinfante is JDC Entwine’s Director of Engagement. Before joining Entwine he worked as the Director of Public Programs at Mechon Hadar. He is a long-time Ramahnick having grown up as a camper and staff member at Camp Ramah in California and Camp Ramah in the Berkshires. Andrew participated in United Synagogue’s Nativ College Leadership Program in Israel and he graduated from California State University Northridge with a degree in English. 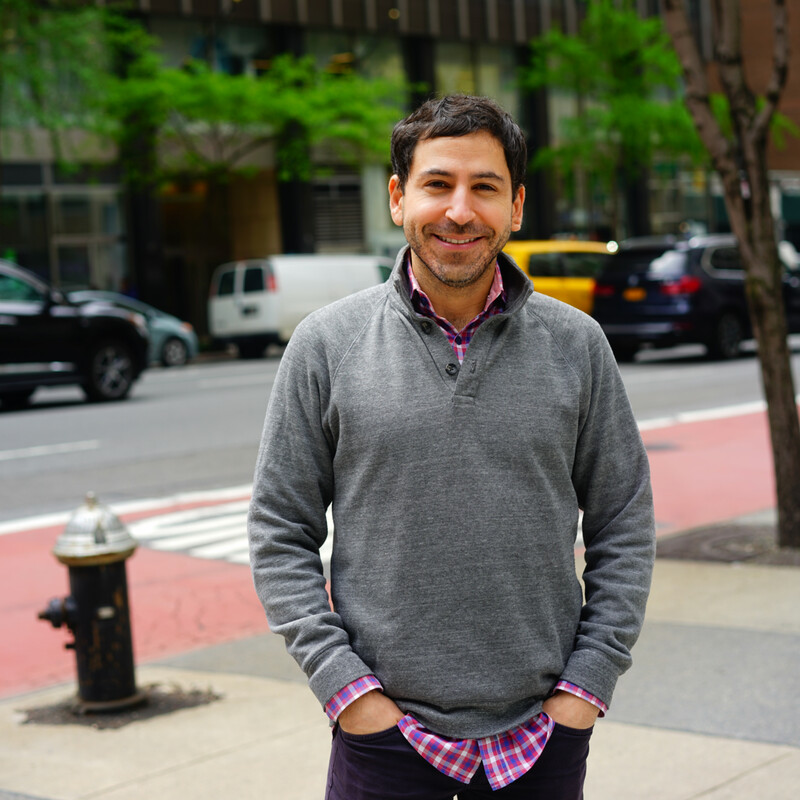 He has worked in both formal and experiential Jewish education for over ten years, including having worked in various Religious Schools in Los Angeles and as the Associate Director of a Hebrew School in Tribeca, New York. He holds a Master’s Degree in Education from Bankstreet College in Manhattan where his area of focus was community-based learning environments. Most memorable place you’ve traveled: I loved visiting Timisoara, Romania. I was moved by the fact that such a small place could feel so impactful. The streets were clean, the people were nice, and the pride of the people ran deep. Fun Fact or special skills: This is super random but I was at Michael Jackson’s funeral/memorial service. Arezu is the Southern California Community Manager for JDC Entwine. Before joining Entwine, Arezu worked as a Sales Account Manager for high-tech software company, Oracle. A Los Angeles native, Arezu was born to Iranian-Jewish parents who instilled in her a deep appreciation for Jewish values, tradition, and identity. Arezu graduated from UC Santa Barbara (Olé!) with a Bachelor’s degree in History and Religious Studies, with a focus on Judaism and Islam. During her time at UCSB, Arezu served as a student senator, as a student leader at Santa Barbara Hillel, and as an AIPAC campus activist. 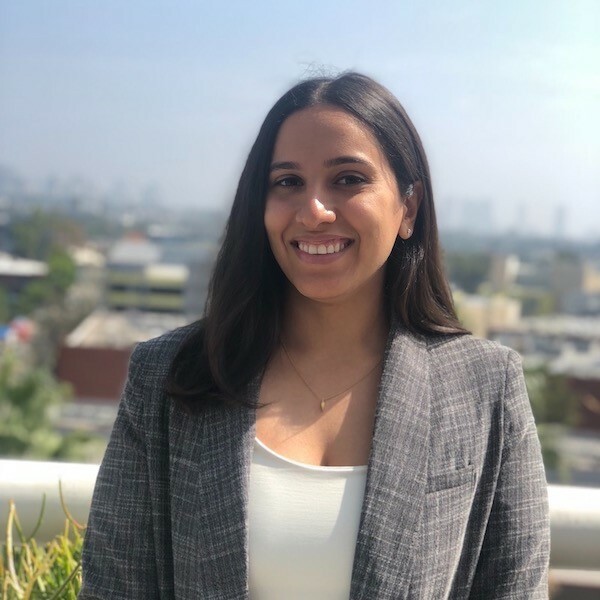 When not in the office Arezu enjoys watching live music, discovering new coffee shops in the city, and hunting for the perfect slice of pizza in LA! Most memorable place you’ve traveled: Mexico City. Everything about it–the people, culture, food, art—had me in awe and amazement. Plus, she’s never laughed harder than I did while watching a live luchador fight! Fun Fact or special skill: She recently started learning the art of origami. Arielle is the Senior Engagement Manager at JDC Entwine. In her role, she identifies opportunities for greater collaboration with organizations that share common goals, values, and a passion for global Jewish responsibility. She also connects and engages people from around the world in Entwine’s programming. Her journey at JDC began as a yearlong Global Jewish Service Corps Fellow at the Agahozo Shalom Youth Village in Rwanda where she managed the short-term service trips and mentored students. Arielle holds a Bachelor’s degree in Political Science and History from Binghamton University. After graduating in 2012, she dove into the world of international development by volunteering in Nepal with Tevel b’Tzedek. 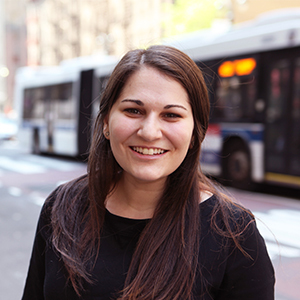 Her passion for global work stems from summers at Camp Ramah in the Berkshires, trips to Israel through Nativ and Birthright, and international travel to global Jewish communities. Most memorable place you’ve traveled: Estonia- Old Town is like Disney World! Fun Fact or special skills: Arielle once bungee jumped off a 585 ft bridge in Nepal. Ben Sheridan joins Entwine as a Development Officer. Ben previously worked on political, corporate, and advocacy campaigns in Washington, D.C., Illinois, and Connecticut. He brings a range of Jewish communal experience, including various roles at AJC, Hillel, Birthright, the Jewish Disaster Response Corps, MASA Israel, and Encounter. 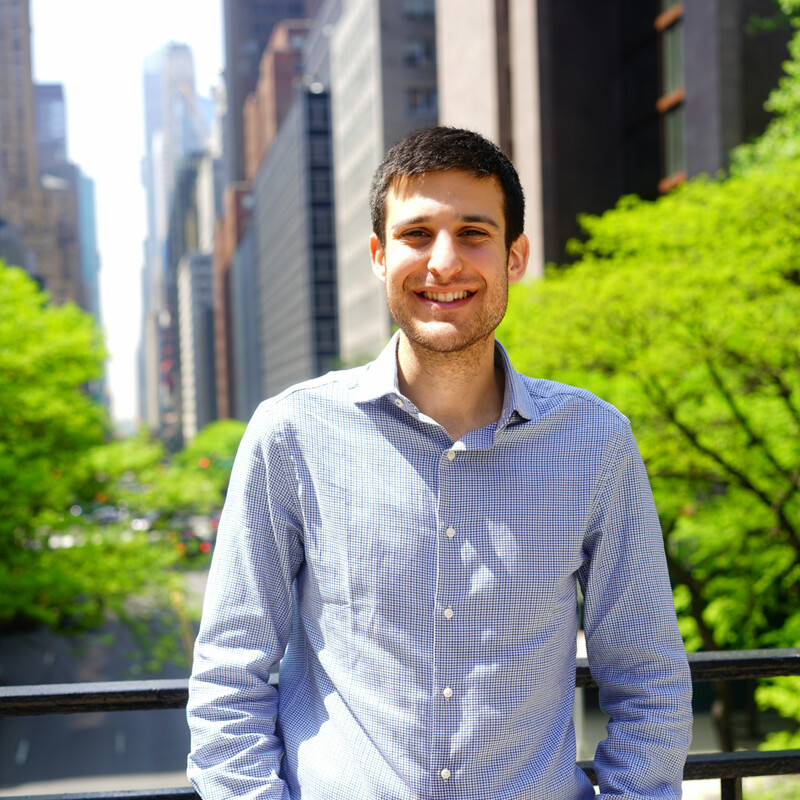 Ben was born and raised on the Upper West Side of New York City before living in Jerusalem to study with Kivunim, and then attending Binghamton University. In addition to spending time with friends and family, Ben enjoys being active and playing sports, cooking, and exploring new languages. 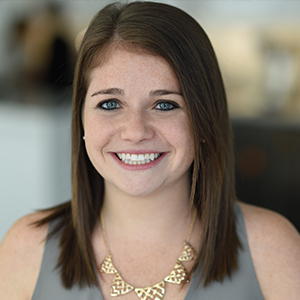 Ellie Carr joined JDC Entwine in 2017 as the Executive Coordinator from the international creative communications firm, MerchantCantos. Before her start with MerchantCantos she worked for their parent company, Brunswick Group, both of which specialize in financial and B2B communications. Prior to moving to New York City post-college, she worked with United Synagogue Youth as a Regional Youth Coordinator in Western Massachusetts and Connecticut. Ellie received a degree in Political Science from the University of Massachusetts Amherst. 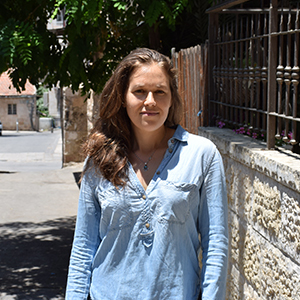 Before attending college, Ellie spent a year on the Nativ College Leadership Program in Israel taking classes at Hebrew University in Jerusalem and teaching English in Yerucham, a development town in the South. In her spare time, Ellie enjoys fostering puppies and you can usually find her in the local dog park. She has just adopted a cute puppy named Jett! Most memorable place you’ve traveled: A girls trip to Ireland with her mom. Fun Fact or special skill: Ellie’s been to 43 States! Evan is JDC Entwine’s Director of Budget and Administration, responsible for the financial planning and financial resource management of Entwine. 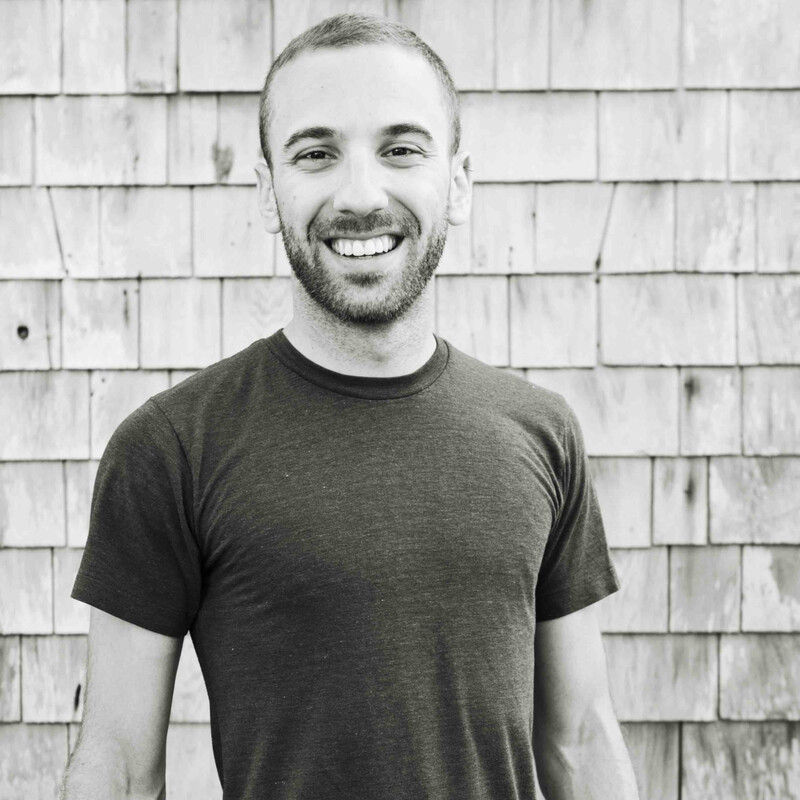 Evan has been with JDC since 2011 and previously served as Entwine’s Director for Global Immersive Experiences where he oversaw Entwine’s Insider Trips and Multi-Week programs. Evan has a Masters in Global Affairs from NYU and a Bachelors of Business Administration from Emory University’s Goizueta Business School. He was in the 2016 inaugural cohort of UJA-NY’s Ruskay Institute for Jewish Professional Leadership, and received the 2017 NYU SPS Alumni Award for Service. He was also a founding member of the Moishe House-Buenos Aires where he lived from 2006-2008, and is a member of the ROI Community. Evan lives in Manhattan with his wife, their son, and their French Bulldog Melvin. He enjoys film-making, watching comedy, and weekends away in the mountains. Fun Fact or special skills: Evan loves Excel. Gabi Hersch joins the team as an Operations Coordinator for many of Entwine’s leadership programs, as well as for the regions of Israel and the Former Soviet Union. She helps oversee insider trips and fellowship programs that occur in those regions throughout the year. Originally from Fort Myers, Florida, Gabi was introduced to a life of seasons for the first time when she attended Brandeis University. She holds a bachelor’s degree in Near Eastern & Judaic Studies and Anthropology with minors in Islamic & Middle Eastern Studies and Religious Studies, as well as a master’s degree in Jewish Professional Leadership/Nonprofit Management through the Hornstein Program. Most recently, Gabi worked as a Project Manager and Assistant to the Executive Vice President at the Union for Reform Judaism (URJ). In her spare time, Gabi loves to read, go on outdoor adventures, and adore all the cute puppies the world has to offer! Most memorable place you’ve traveled: 1) My unforgettable semester abroad in the old Medina of Rabat, Morocco, 2) I loved repelling down waterfalls in Costa Rica! Fun fact or special skills: I was Ropes Course Director at URJ Camp Coleman in the summer of 2013! Favorite Ropes Course activity? Dueling on the catwalk. Gabe Orduña joins Entwine as the Database Specialist. In this role, Gabe will be working to design, implement, and manage JDC Entwine’s participant database as well as help strategize and create processes for data collection and reporting. 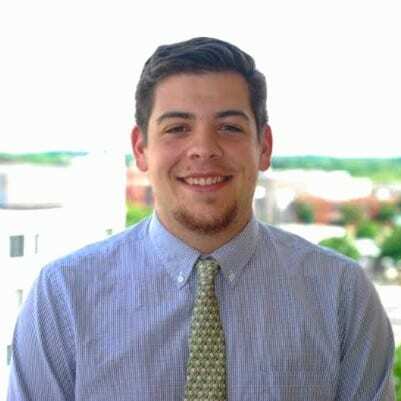 Prior to coming to JDC, Gabe was a Business Analyst at Craftsman Technology Group in Boston, MA, working with nonprofit organizations on mostly Salesforce based CRM projects. As a Business Analyst, Gabe worked closely with nonprofit clients to develop wokflows to maximize operational efficiency, designed and configured custom CRM solutions, and facilitated training for end users. Before Craftsman, Gabe participated in an AmeriCorps based nonprofit professional development fellowship called New Sector Alliance where he was matched to work with Nonprofit Finance Fund where he designed and built the organizations knowledge management platform. Gabe graduated from the University of Wisconsin – Madison in 2015 with a degree in Community and Environmental Sociology. Fun Fact or special skill: He has worked at 5 ice cream shops around the country. Born in Poughkeepsie, New York. [How do you pronounce Poughkeepsie?] Country 1 – Israel. Attended Brandeis University, majoring in Politics and minoring in Chinese. [Still can’t tell you why I chose Chinese!] Country 6 – Namibia. Signed a contract to only speak Chinese for four months studying abroad. Moved to Beijing after graduation. Serendipitous found a job mentoring Chinese high school students applying to American universities after meeting the company’s co-founders at the Jewish Sunday School [Love Jewish geography!] Country 15 – India. First learned of JDC Entwine at JDC-sponsored Limmud China. Lived in Moishe House Beijing for three years organizing community for Beijing’s international Jewish community. Countries 21-27 – Traveled to 10 Moishe Houses between China and England. Attended first Insider trip with Inside Israel 2017. Country 28 – Azerbaijan. Find Jamie at the East River Park tennis courts or the most authentic soup dumpling restaurants. Most memorable place you’ve traveled: I coincidentally ended up in Astana, Kazakhstan on the president’s birthday. The whole city came out to celebrate. I ran into an American diplomat and she recommended Georgian food. With its fresh baked bread with various salty cheeses, egg, and butter, I may have found culinary perfection with khachapuri. Fun Fact or special skills: When people ask me if I have siblings, I answer: “Yes and no.” It’s “yes” because I have four older half-siblings from my parents’ previous marriages. It’s also “no” because I’m the only child of my two parents. Jenette is the Operations Manager, Latin America & GRID (Global Response & Innovative Development). In this role, Jenette oversees all of Entwine’s programming in Latin America and where JDC does international development and disaster response around the world, including the Jewish Service Corps Fellowship, Insider Trips, and Multi Week Jewish Service Corps Fellowship. Jenette began working with Entwine as a Program Assistant in 2012. 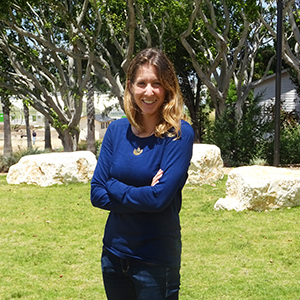 Before joining Entwine, Jenette participated in the Masa Israel Teaching Fellows program, where she taught English in an underserved school in Netanya. Jenette is also passionate about sustainability and serves on the Young Professional Advisory Board of the International Institute of Rural Reconstruction (IIRR). She holds a bachelor’s degree from the George Washington University in International Affairs and French Language and Literature, and lives with her husband Leandro in Brooklyn. Most memorable place you’ve traveled: Last year, I went to Tokyo and fell in love with the simultaneously refined/wacky culture. If JDC ever opens an office there, I’ll be the first volunteer! Fun Fact or special skills: I serve on JDC’s Green Team and started a composting initiative, along with a few other colleagues, at our headquarters! 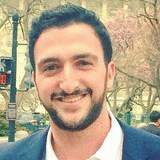 Joshua Mikutis is the Jewish Learning Designer at JDC Entwine. He was ordained from the Hebrew Union College-Jewish Institute of Religion in May of 2018; he also graduated with a Master in Jewish Nonprofit Management from the Zelikow School of Jewish Nonprofit Management. Originally from Dayton, Ohio, he graduated from Haverford College with honors in Religion and History and with a minor in Russian from Byrn Mawr College. 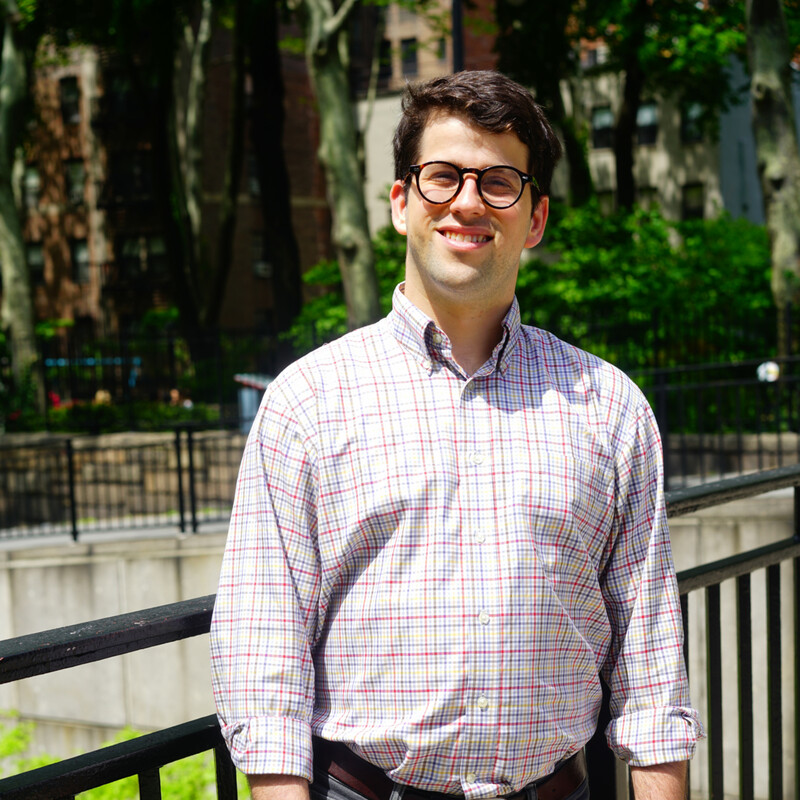 After college, he worked as an Avodah Corps member at New York Legal Assistance Group in their Immigrant Protection Unit. In 2012, he first connected with JDC Entwine when he travelled on an Insider Trip to Moscow. He lives in Brooklyn with his wife Anna who works at UJA Federation of New York. Fun Fact or special skills: Joshua played bass in a MC Solaar cover band in college. Leba is Deputy Director of Global Operations. In this role, she oversees the day-to-day operations and implementation of Entwine’s programs. She has worked at JDC since 2008 and is proud to have been with Entwine since its inception! Leba has extensive experience in both formal and informal education with groups of diverse Jewish backgrounds. 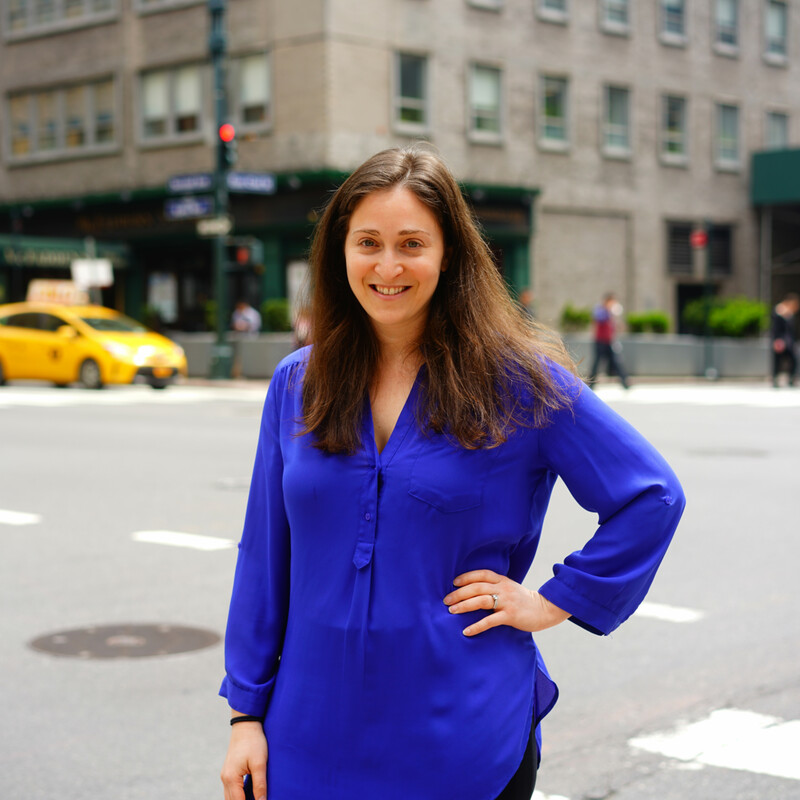 She earned a certificate in Experiential Jewish Education through Yeshiva University, an immersive training program that aims to strengthen and transform the field and its impact on Jewish identity. She has also taught Hebrew School in New York City and facilitated learning sessions at Camp Simcha, a summer camp for chronically ill children, in addition to being the camp’s Drama Director. Leba graduated from Yeshiva University, Stern College, where she received her BA in Judaic Studies and also spent a year abroad studying in Israel. Most memorable place you’ve traveled: Morocco- The incredible history, delicious food and warm community! Fun Fact or special skills: She lived in 7 cities all before I was 21! Leba completed a pastry course at the Jerusalem Culinary Institute and is an avid dessert producer (and consumer). Leba was a top 10 fundraiser for Team Lifeline at the 2011 Miami ING Half-Marathon. 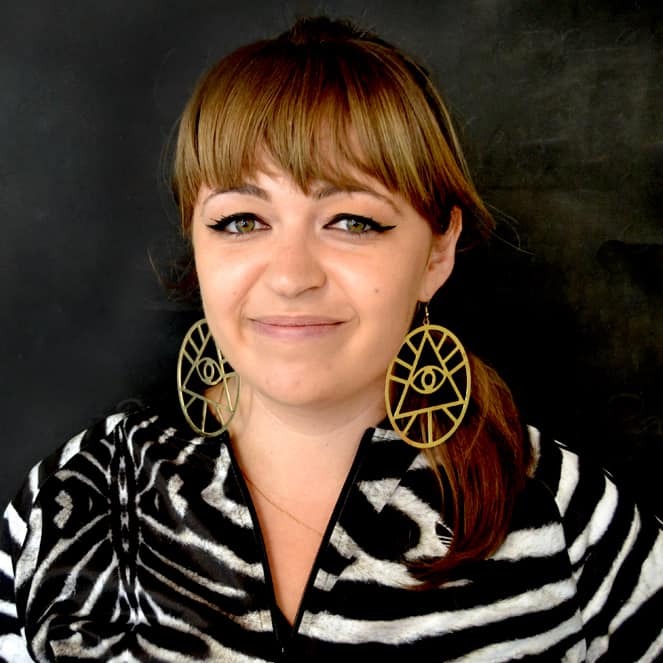 Margarita is an artist, writer, and social scientist specializing in human centered experience design. She enjoys designing paths to authentic identities and opportunities with people in the spaces of post-communism, autism entrepreneurship, and sibling loss. 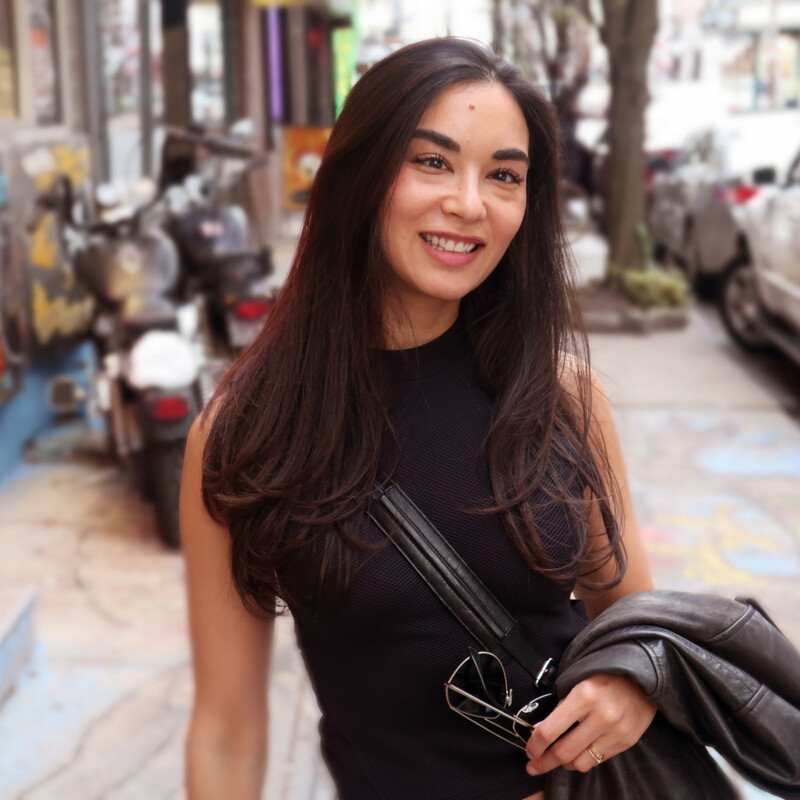 After earning her Master of Fine Arts in Design for Social Innovation at New York City’s School of Visual Arts in 2016 (and previous to this a Bachelor of Science in Anthropology at Loyal University Chicago in 2008), she launched AdaptLab Filmmakers, a neurodiverse social enterprise developed in partnership with the JCC Manhattan Center for Special Needs. Her political art has exhibited at New York’s National Arts Club and Chicago’s DANK Haus German Cultural Center and beyond. Miriam Bader is a learning designer with expertise developing dynamic, place-based experiences that facilitate reflection and connection. 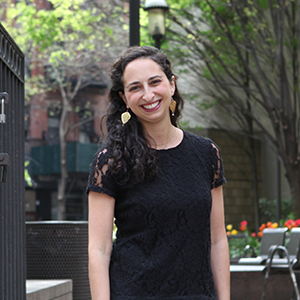 As the Director of Design and Organizational Development at JDC Entwine, she oversees the educational strategy connecting young Jewish adults to the global Jewish world and developing their leadership capacity. Miriam comes to Entwine from the museum education field, most recently as the Education Director at the Tenement Museum. She has also worked at the Museum at Eldridge Street, Solomon R. Guggenheim Museum, The Jewish Museum, and served as an educational consultant for the National Park Service, public media, and other international organizations. Miriam sits on the Board of the Jewish Foundation of the Education of Women (JFEW). She received her Master’s degree in Museum Education at Bank Street College. Fun Fact or special skills: Experimenting in the kitchen pickling, making jam, and other confections. 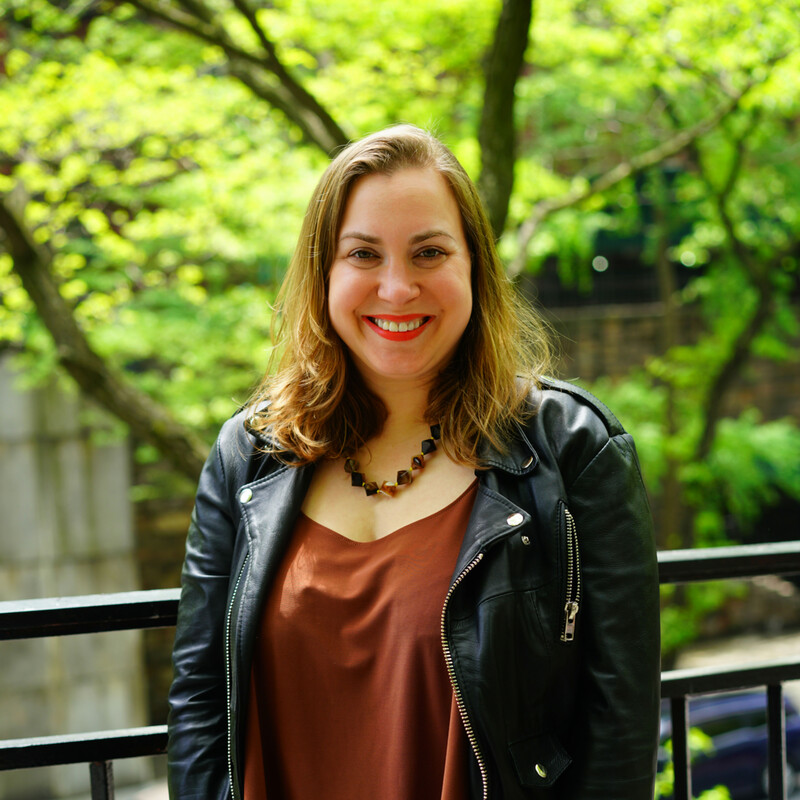 Molly is a community builder and network weaver, working to develop Jewish spaces that are not just accessible to, but designed for an increasingly diverse Jewish community. 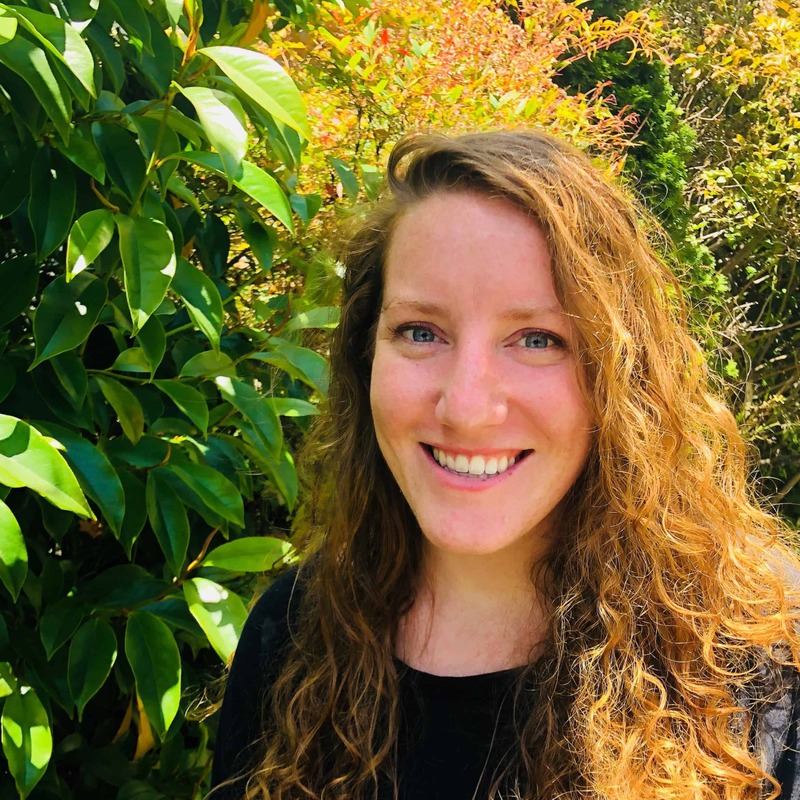 In her role as Northwest Community Manager for JDC Entwine, she connects Bay Area and Seattle young adults to the global Jewish world through local offerings, immersive overseas experiences, and specialized leadership development programs. Deeply passionate about LGBTQ advocacy, Molly leads Entwine’s annual trip designed for LGBTQ Young Professionals and advises on ways to make Entwine’s programming accessible to a queer audience. 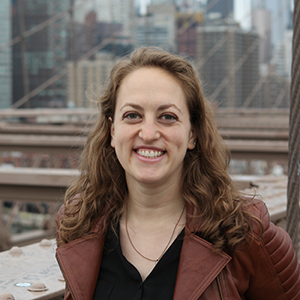 Before joining Entwine, Molly worked in Boston at Combined Jewish Philanthropies – supporting their 2017 strategic planning process, and overseeing the inaugural Boston Community Leaders Cohort, an innovative initiative to develop Boston Area community leaders across the spiritual and secular divide. Molly graduated from Northeastern University with a B.A. in Sociology and Jewish Studies. In her spare time, Molly loves biking, rock climbing, and baking sourdough bread. Most memorable place you’ve traveled: Petra, Jordan – specifically a candlelight walking tour of Petra at night. It was truly one of the most breathtaking experiences of my entire life. Fun Fact or special skills: I buy my ketchup in bulk from Costco because you can never have too much ketchup. Naomi joined the Entwine team in 2015 and has since supported a diverse portfolio of programs. Naomi currently specializes on the Year-Long Jewish Service Corps and large scale events. 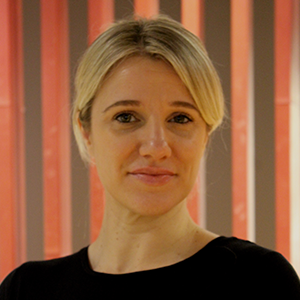 In her role, Naomi manages projects and ensures their successful execution. Naomi has a Master’s degree in Community and Social Change with a Specialized Track in Community and Program Development from University of Miami. She was active in Jewish life and founded a Challah for Hunger Chapter at UM. Born and raised in the NY area, Naomi has also lived in Israel and Australia and has visited several Jewish communities around the globe. In her free time Naomi enjoys baking Challah, exploring the city and traveling the word. 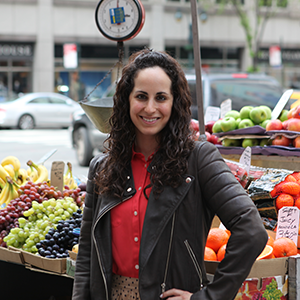 With a clear passion for culture and community, Naomi is proud to be working for JDC Entwine, combining her passions of travel, Judaism and impact. Most memorable place you’ve traveled: Morocco! I love how the deep Jewish history is emended into the larger society, plus the Arab culture remind me of my Egyptian roots! Fun Fact or special skills: Some call me a “jew head” aka lover of many Jewish foods, ideas and practices. As Director of Planning and Evaluation, Sara oversees the process setting the strategic direction for JDC Entwine and manages the measurement and evaluation of Entwine’s programs. Prior to coming to Entwine, Sara was the Director of Program Evaluation and Strategy at NEXT for Autism, where she set up their performance measurement program to help NEXT tell its story of innovative model programs for people on the autism spectrum. Prior to her work at NEXT for Autism, Sara worked as a management consultant for many years, both in the for profit and nonprofit sector at Bain & Company and The Bridgespan Group, tackling a broad range of complex strategic challenges. Sara earned her MBA from the Tuck School of Business at Dartmouth College in 2011. She lives in Harlem with her husband and son. Most memorable place you’ve traveled: My most memorable travel experience is spending a week on a boat exploring Antarctica! Fun Fact or special skills: Horseback riding! While I haven’t ridden in a few years, it was a huge part of my life growing up and you could almost always find me at the barn or doing something horse-related. Sarah is both the Executive Director of Entwine and an Assistant Executive Vice President at JDC. In her role, she is responsible for the overall vision, strategy, and success of Entwine. Sarah joined JDC in 2002 and previously was the Senior Global Program Officer in JDC’s Program, Planning, and Budget Department, where she played a key role in JDC’s annual global strategic review and planning process. Sarah has traveled extensively with JDC, including to India, Turkey, Haiti, Morocco, Ethiopia, Romania, Hungary, Russia, Ukraine, and Belarus. 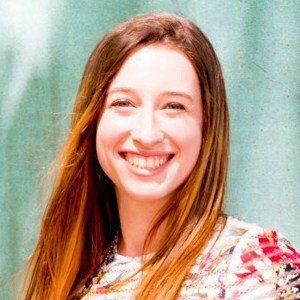 Sarah has received several honors; in 2011 she was named by the Jerusalem Post as one of ten young Jewish leaders for the future, and received the Jewish Communal Service Association’s Young Professional Award. Sarah is also an alumna of Kivun. Sarah has a Master’s degree in Jewish Studies from Oxford University, and a BA in History from the University of California, Berkeley, where she focused on Jewish history in the Middle East and North Africa. Shachar Beer is the JDC Entwine operation manager for Israel and the Former Soviet Union. Before joining Entwine Shachar has served as the JDC historian and director of the JDC archives. As an aspiring writer Shachar recently won a national short stories competition, and wrote the screenplay for one episode of a TV drama aired last year on Israeli TV. Speaking of television, Shachar once lost $25,000 on the Israeli version of the “Who wants to be a millionaire?” show, when he forgot which classic movie contains the famous line “if you want to shoot, shoot. Don’t talk…”. Most memorable place you’ve traveled: Shachar’s most memorable trip was going by himself in a beat up old car, on a 4 months road trip through the Australian outback. Fun Fact or special skills: Shachar is a film actor, starring in the Israeli dark comedy “Zero Motivation”. By starring, we mean he appears for 40 seconds in one scene, the soldier on the left leaning against the wall and eating a waffle. Shaun is JDC Entwine’s Deputy Director, overseeing day-to-day operations and directing Entwine’s Leadership Team. Shaun is also a Schusterman Senior Fellow and a member of the Fellowship’s third cohort. 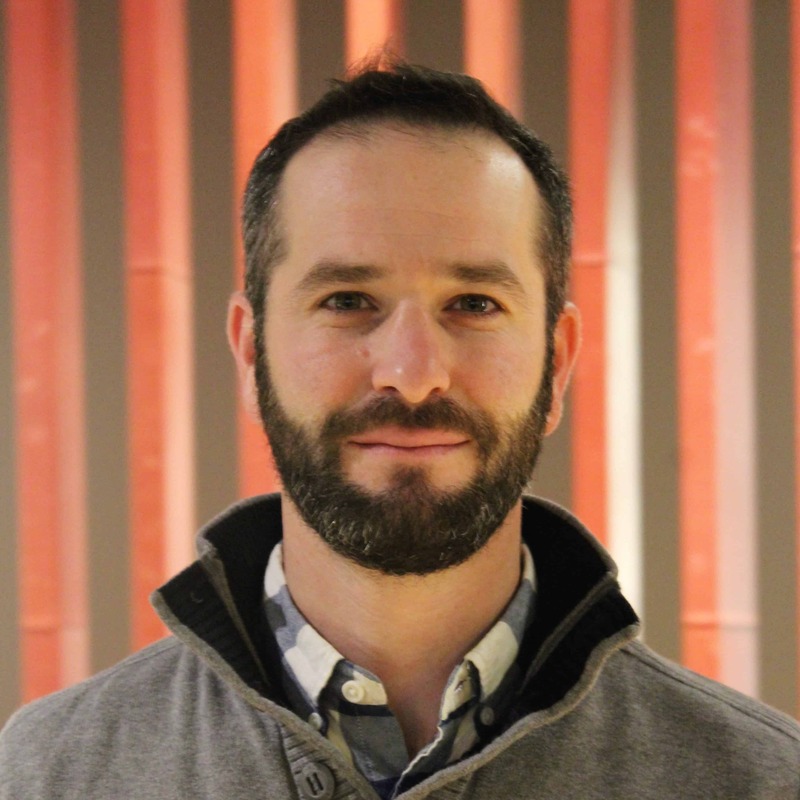 Prior to joining the Entwine team, Shaun served as the Senior Program Director for Canada Israel Experience, managing the Canadian Jewish Community’s Israel experience programs, including Taglit-Birthright and March of the Living. 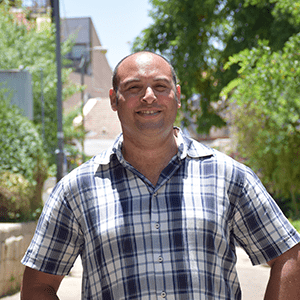 Originally from Toronto, Canada, Shaun has been living in Israel for the past ten years, currently residing in Jaffa with his wife, Laura, and daughter, Dafna. He holds a B.A. from University of Toronto, including a year in Hebrew University’s Honors Program in Middle East Studies. Shaun also holds an M.A. from the Spertus Institute in Chicago, with a concentration in Israel education through the iCenter. Shaun served as a field commander in the IDF Paratroopers Brigade (despite a fear of heights) and continues to serve in the unit’s southern reserve brigade. Most memorable place you’ve traveled: Probably Kyrgyzstan – yurts and alpine lakes along the Silk Road, where fermented horse milk is a common drink. Fun Fact or special skills: I was the silver medalist in the 2000 junior Maccabi games in Staten Island – for golf. Shawna joined the Entwine team in 2015 in San Diego and works as a Program Coordinator for global experiences in Europe, Africa, and Asia. Shawna received her undergraduate degree in Global Studies from UC Santa Barbara and holds a Master’s Degree in International Community Development from the Hebrew University of Jerusalem. Prior to her post-graduate studies, Shawna worked for one year as a Young Judaea Year Course Madricha in Israel. Her passions for travel and community development were solidified when she volunteered with Tevel B’Tzedek in Nepal, working in organic agriculture and youth movement development. Shawna also worked for the Israeli NGO, Fair Planet Seeds, in Ethiopia. There she helped run the farmers pilot program, coordinating the farmers’ reception of top quality tomato plant varieties. Outside of work, Shawna can be found soaking up the San Diego sun- hiking, running, and swimming. Fun Fact or special skills: Throughout high school, Shawna used to beekeep with her family. While they no longer own bees, they have not bought store bought honey in over 10 years. Sofia joined JDC Entwine as an Operations Coordinator with a regional focus in Latin America and GRID (Global Response & Innovative Development). She helps oversee insider trips and fellowship programs that occur in those regions throughout the year. Originally from Bogotá, Colombia, Sofia moved grew up in Miami from a young age. She holds a BA in Linguistics and Education from New York University, where she was also involved with the global spiritual life on campus. Most recently, Sofia returned from Brazil, where she completed a Fulbright Fellowship as an English Teaching Assistant in Belo Horizonte. 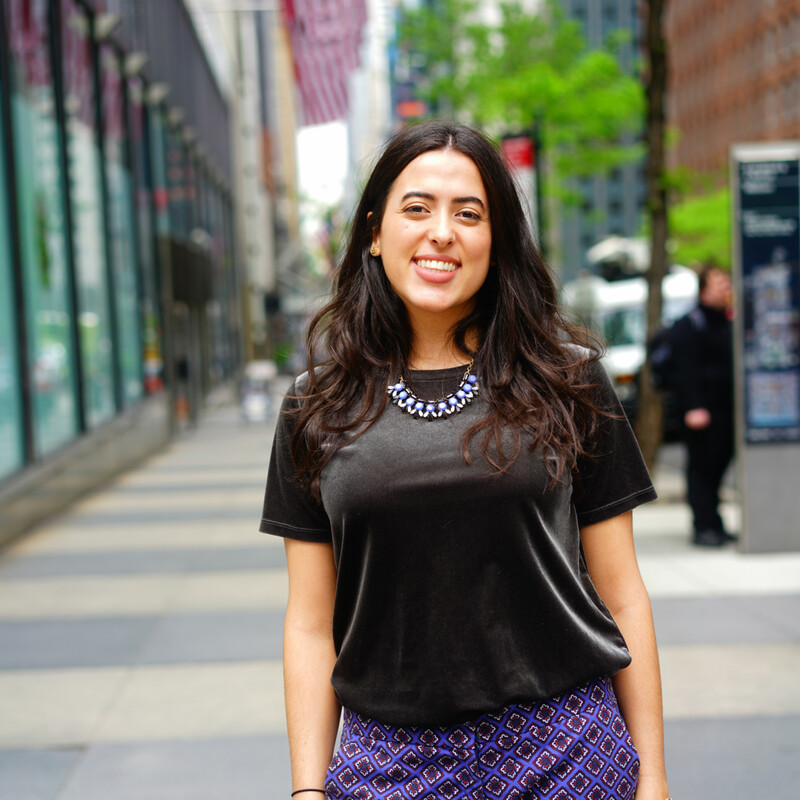 Sofia loves learning new languages and can be found cooking, reading, or biking around NYC during her free time. Most memorable place you’ve traveled: Cambodia. It is a country with such resilience, beauty, and warmth. Visiting Angkor Wat, the largest religious monument in the world, is truly a mesmerizing and unique experience. Fun Fact or special skills: Sofia once ate a fried tarantula with a side of crickets! Yael is one of JDC Entwine’s Operations Managers working in Europe and Africa/Asia. She is responsible for overseeing all of Entwine’s programming in this region, including trips and short/long term service-learning opportunities. She began her involvement with JDC in 2014 when she spent a year in Rwanda as an Entwine Jewish Service Corps fellow working at the Agahozo-Shalom Youth Village. At the village, she managed the art center, mentored students and worked in collaboration with the local community to develop educational programming and improve the youth’s experience at the village. Yael is a seasoned artist and holds a Bachelors of Fine Art from Bezalel Academy of Art and Design in Jerusalem and a Master’s degree in Photography from the San Francisco Art Institute. She has exhibited her work both in solo and group shows around the world and continues to produce work in her spare time. Fun Fact or special skills: She is really good at putting together 1000 piece puzzles!